The revolution in retail has been Amazonian. Because of the growth of that online mega-merchant, all aspects of commerce have changed. As a result, other retailers have had to wade into the e-commerce pool in order to remain competitive. The question facing many e-commerce retailers – especially those trying to get a toehold in a land ruled by two giants, Amazon and Walmart – is how to bring goods to consumers rapidly and efficiently. The answer, it turns out, is to bring the distribution centers (DCs) closer to home. When the first online shopper clicked the purchase icon on a shopping cart icon, that order was most likely fulfilled at a very large DC located in a remote location. There, land, taxes, and labor were cheap, and the centers could be large enough to manage an overwhelming logistical operation. Today, though, retailers and supply chain and logistics experts are rethinking that equation. Since the e-commerce explosion – and all predictions point to an even greater share ($4 trillion by 2020) of the market in years to come – many retailers have been forced to close stores. When anchor stores fold, malls do poorly. At the same time, consumers have become accustomed to online shopping, and their expectations have grown. At one time, they were thrilled to receive their online purchase within a week. That expectation now stands at overnight delivery, and increasingly, that delivery time has been shortened to same day. Rather looking outward for space to build massive warehouses, more and more e-retailers are bringing their operations closer to the consumers. Locating DCs in urban centers may be more expensive. Rents and taxes, for example, may cost more, but this is often preferable given a speedy last mile delivery and lower transportation costs. In some urban markets, demand for space has outpaced supply and commercial leasing is at an all-time high. Los Angeles and Seattle report that 95% of total warehouse space has been leased. The demand for DC space in urban centers is giving birth to a creative use of space. Retailers that closed their brick-and-mortar stores because of e-commerce competition are now holding onto those spaces and refitting them as DCs. This allows them to respond more readily and quickly to the remaining stores in their family, and to fulfill online orders at a local level. Properties that were once considered obsolete are being reclaimed and reborn to meet the retail challenges of the 21st century and the demands of the digital-savvy shopper. Businesses entering the e-commerce field are happy to let the giants have their DC palaces, while they lease anywhere from 300,000 to 500,000 square feet, located close to consumers, to stock small amounts of high velocity products. Just like businesses have started to share space, e-retailers are looking to do the same in order to share costs of a more localized DC. Co-locating is based on varied peak sale times for two companies. An electronics company, for example, may peak between Thanksgiving and Christmas, while a chocolatier may peak during the weeks leading up to Valentine’s Day. Another retailer with a third peak time could also join. 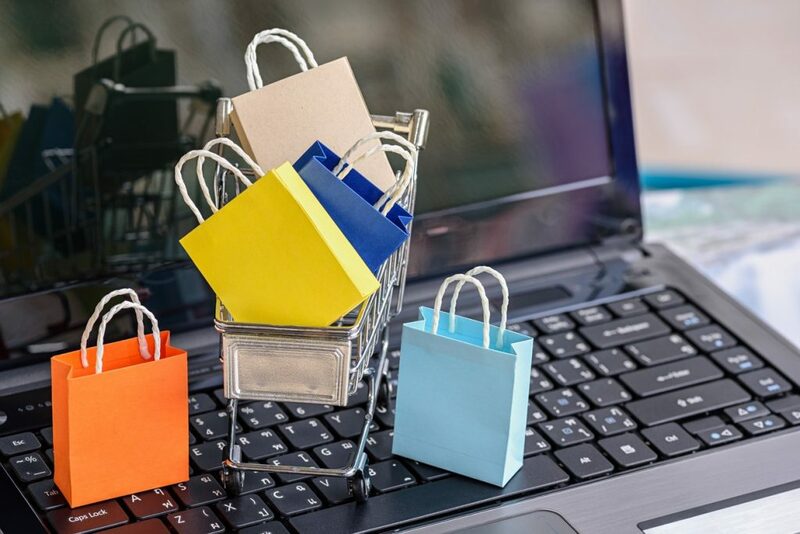 While traditional retail certainly isn’t dead in South Florida, the area is in a unique position when it comes to e-commerce. Thanks to the Everglades, there’s only so much space available on which to build massive DCs. West only goes so far. At the same time, the region has plenty of empty warehouses and underutilized properties that can be reclaimed at local DCs to provide efficient and timely deliveries to local and international consumers. Finding new purpose for these spaces re-energizes neighborhoods, provides jobs, and strengthens the local economy. Morris Southeast Group can help you find the commercial real estate property you need for your e-commerce or brick-and-mortar business. For a free consultation, call Morris Southeast Group at 954.474.1776. You can also reach Ken Morris directly at 954.240.4400 or via email at kenmorris@morrissegroup.com. The philosophy of the third space (or place, in some writings) is not a new one. In 1989, urban sociologist Ray Oldenburg coined the phrase in his New York Times bestseller, The Great Good Place. In that work, he described “first place” as home, “second place” as the workplace, and “third place” as the community anchors – informal meeting places such as parks, malls, gyms, libraries, rec centers, and the like. Urban planners have increasingly relied on third spaces when developing new communities or revitalizing existing ones. These are the living rooms of the new millennium, a vital component for human interaction in a world that seems increasingly devoid of it. In the 28 years since Oldenburg first introduced his ideas, a lot has changed in the world, particularly in the office. Cubicles have been torn down in favor of open space designs, which have also transformed into a combination of open and private spaces to meet the needs of group and focused work, as well as collaborative spaces to offset costs. In addition, more employees are able to work from home, from the field, or from the coffeehouse down the street. While telecommuters report increased isolation, full-time employees also report longer and more intense workweeks. To meet these challenges, more and more designers and property owners are looking at third space ideas to do for companies and workers what they’ve been able to do for communities: revitalize and recharge. Before embarking on a third space design, there are a few key concepts to keep in mind so that the space is more than just a coffee shop in the office. Location, location, location: The obvious spot is the company cafeteria or an area of under-utilized space. The important thing is to observe where key social interactions already occur and to build upon that, even if those spaces include areas outside of the building. Technology is essential: The downfall of the local coffeehouse is not enough outlets and weak Wi-Fi. Third space areas should be technologically integrated to support collaboration, information sharing, creation, and, of course, seamless Wi-Fi and ample power connections. Ambiance: The look and feel of a comfortable and welcoming environment can be achieved through design. Just as in new office environments that blend group areas with private focused work areas, third space areas should feature the same. Lighting, furniture, colors, textures, and aromas are all necessary ingredients to create a space that’s inviting. Once the work is done, the work isn’t finished: As with many things in business, it’s important to seek feedback so that the space can continue to evolve with the changing needs of the staff. In order for the real estate to be resilient, it must be flexible. Morris Southeast Group couldn’t have said it any better. A healthy and supported workplace is good for innovation, which is good for business, which is good for real estate and investment opportunities.